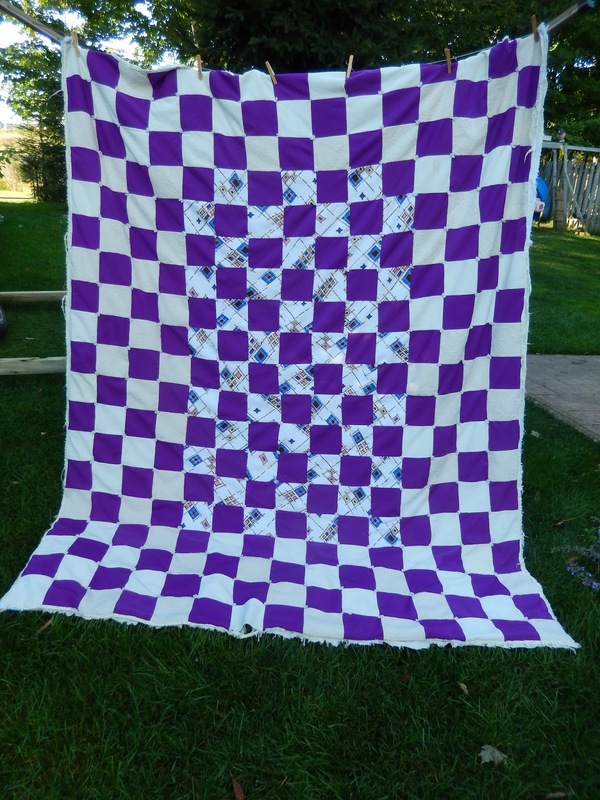 A client approached me to restore a quilt her grandmother had made her many years ago. 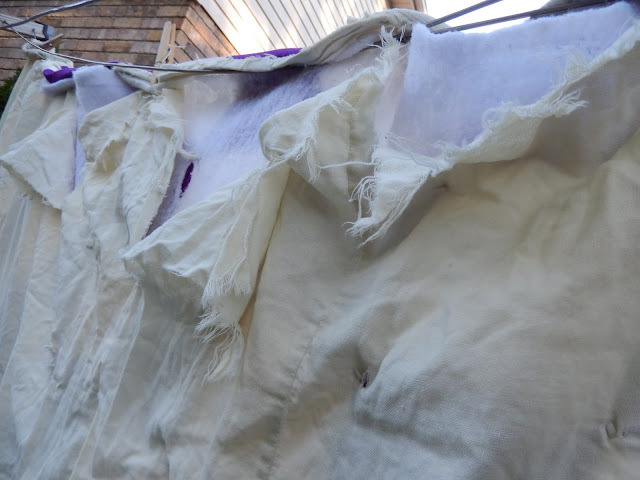 Amazingly the top was intact but the binding was very much coming apart. It came apart very easily. 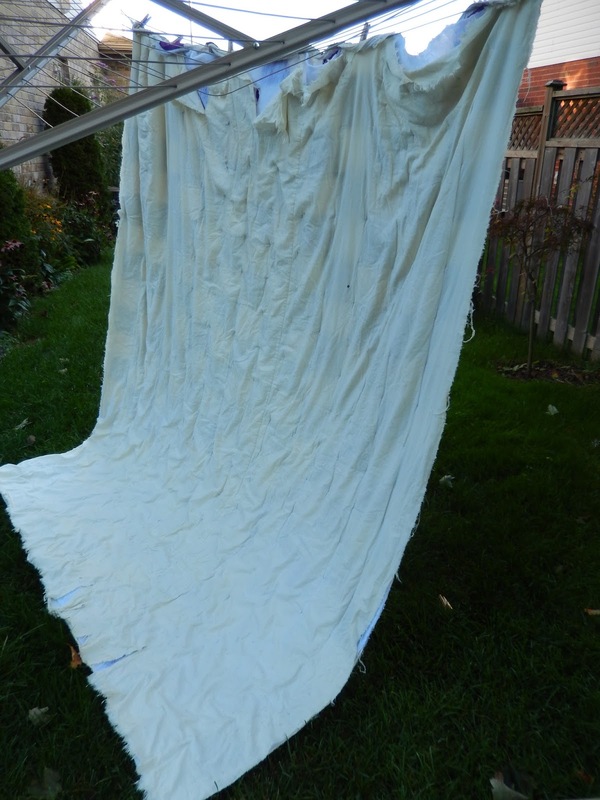 As the original batting was an old polyester and since the quilt had been washed so many times over the years it was falling apart. I advised the client that we could keep the original batting but it would be nice to add an extra layer of cotton batting. We did this and it really added to the cuddle quality. 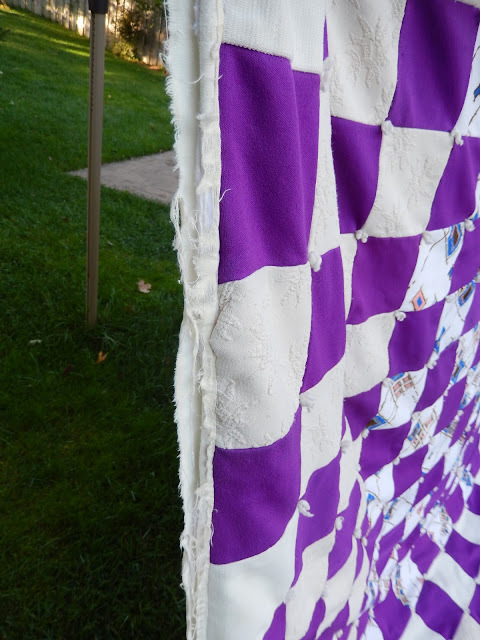 It was also interesting the tie the quilt with yarn instead of machine quilting like I normally do. We both debated machine quilting versus tying but as the original was tied with yarn we felt it would keep the same essence of the piece to keep it the same. I still used my machine frame to lay it out on though - worked like a charm! 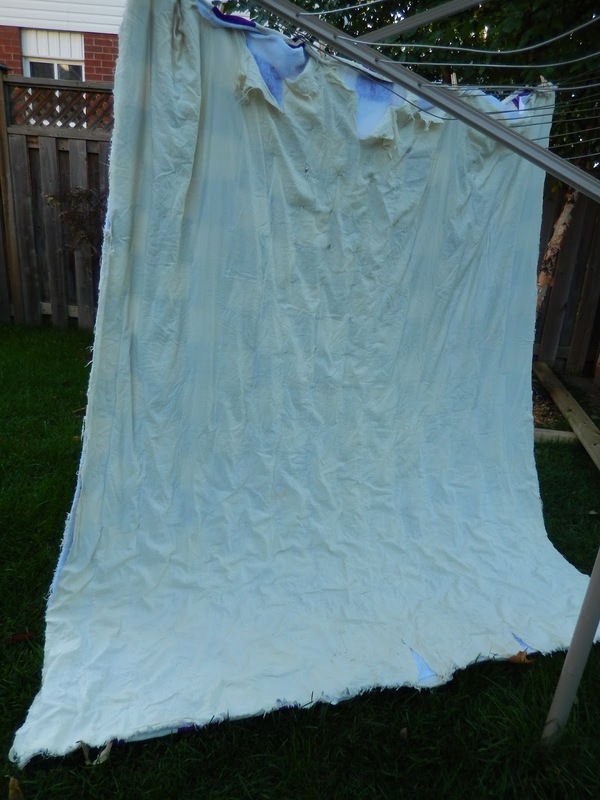 "Now that I have my wonderful quilt repaired and home!! Shout out to Elizabeth - The Ruthless Crafter for your awesome suggestions and repairs made to my beloved well used GRAMMY made quilt!!! LOVE it!!!"